The MKP-2 rolling knee pads provide mobility while protecting your knees! 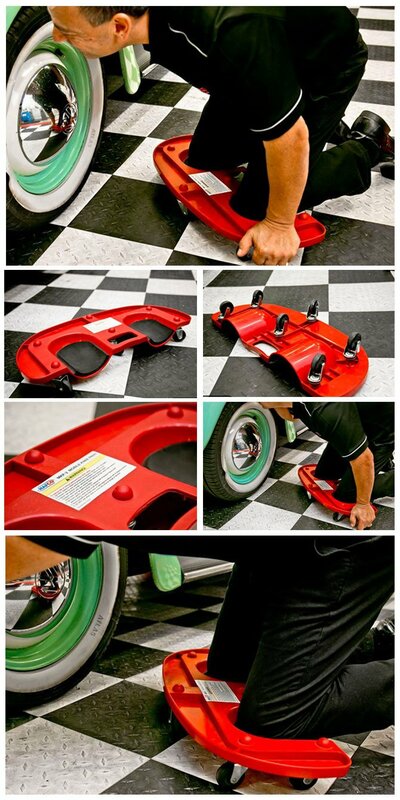 The rolling platform is made of durable high impact plastic with knee pads to cushion your knees during painting, automotive work, laying tiles or other jobs in this nature. The rolling knee pads feature a convenient built-in tray to store every tool you need for the task at hand.